So often we prepare particular foods simply because it’s a habit or we feel as though we would be missing something if they weren’t on our plate (think starchy carbohydrates: pasta, rice, bread, potatoes, etc.) 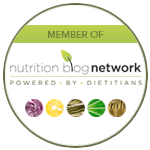 They can be filler foods that aren’t overly nutrient dense but we eat them regularly anyway because they are easy to prepare and require minimal thought. What if I told you that you could swap out rice occasionally in place of cauliflower and you may not even notice? Cauliflower is a great source of vitamin C (yes, the vitamin that oranges are famous for), vitamin K, folate and fibre (just to name a few). As an added bonus, cauliflower is lower in calories per serving than rice, meaning we get a larger portion (and let’s be real – larger portions are always better). 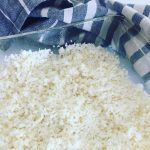 Feel free to spice up your cauliflower rice however you’d like – this is just a simple recipe for quick and easy preparation! Want to spice up your dish even more? Add garlic, onions, shredded carrots, eggs, coconut amino (or soy sauce) and chopped chicken breast for a healthier spin on chicken fried rice. Pulse cauliflower in food processor until chopped fully into tiny rice-sized pieces. Melt butter in bowl in microwave. 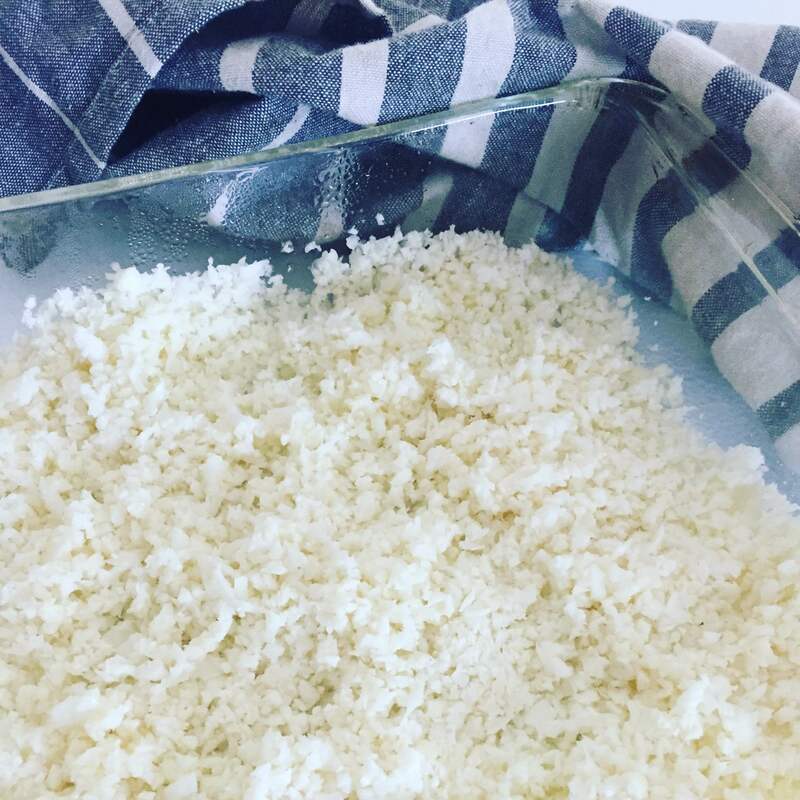 Place cauliflower rice in microwave-proof dish, pour butter and salt over cauliflower and microwave for 3 minutes.